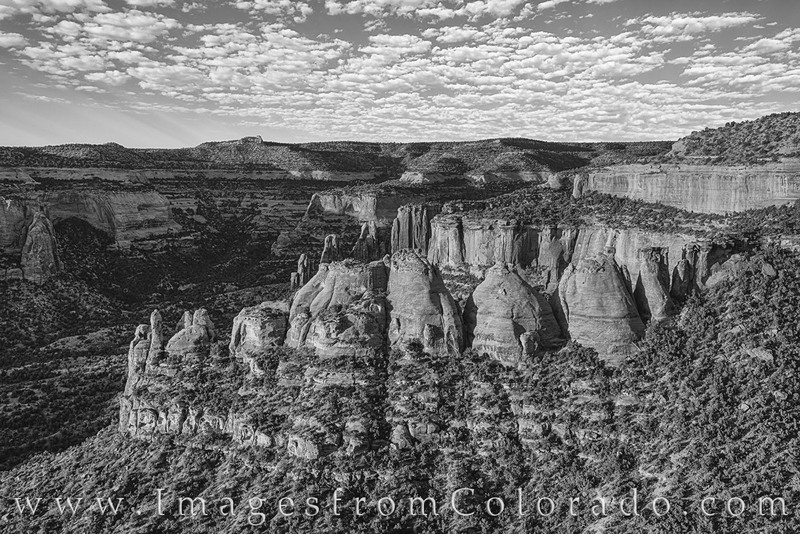 One of the most well known rock formations in Colorado National Monument is the Coke ovens. Seen here in the morning light, this black and white image shows the contast in lights and darks as sun filters across the canyon walls. Photo © copyright by Rob Greebon.